Do you want to chose a ring that shows a bit more of your personality? 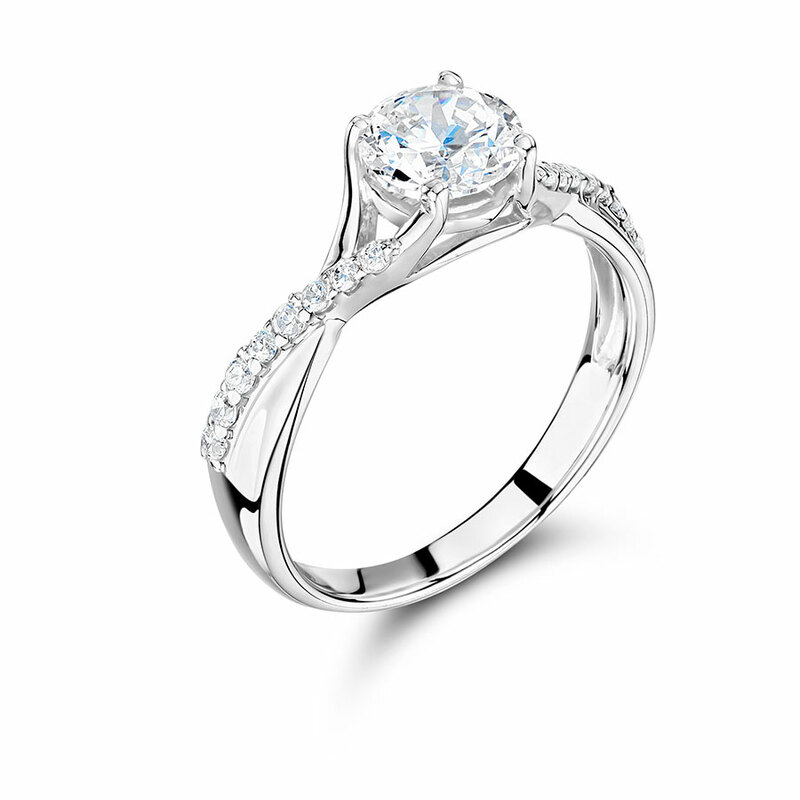 Opt for a style that is a little quirky and different with this beautiful solitaire. One plain and one scallop set diamond band wrap around each other, entwining themselves before they reach the round brilliant cut diamond centre stone. This style is also beautiful in two metals, and can be set into 18k yellow, rose, and white gold, and platinum. Enquire with our offices about your preferred options and we will be delighted to arrange your appointment. Voltaire Diamonds aim to provide a comfortable and exciting service for one of the most special purchases in your lifetime.